We live in a time of exponential growth of data – in a big data era, where texts represent a significant portion of unstructured data sources, which require advanced computing techniques for processing, fast indexing, retrieval, classification, even fast reading enabled by text summarization. Design and development of new techniques for keyword extraction and document summarization are in the very core of natural language processing of large quantities of texts. Recently, besides complex networks, deep learning methods and multi-layered neural networks are gaining attraction in the research community, leading to success in various applications of artificial intelligence. In the proposed research, we are planning to investigate various representations of texts based on new and innovative combinations of complex networks and deep neural networks for solving the problems of keyword extraction and document summarization. Besides for English – the reference language in the field, the research will be conducted for the Croatian language as well. The goal of this research is to develop new methods for keyword extraction and extractive summarization enabled by the formalisms of complex networks and neural networks. The comparative analysis of the performance of the proposed methods in terms of their effectiveness and correctness will be performed on English and Croatian texts. Cost COSTNET: A major challenge in many modern economic, epidemiological, ecological and biological questions is to understand the randomness in the network structure of the entities they study: for example, the SARS epidemic showed how preventing epidemics relies on a keen understanding of random interactions in social networks, whereas progress in curing complex diseases is aided by a robust data-driven network approach to biology. Although analysis of data on networks goes back to at least the 1930s, the importance of statistical network modelling for many areas of substantial science has only been recognised in the past decade. The USA is at the forefront of institutionalizing this field of science through various interdisciplinary projects and networks. Also in Europe there are excellent statistical network scientists, but until now cross-disciplinary collaboration has been slow. This Action aims to facilitate interaction and collaboration between diverse groups of statistical network modellers, establishing a large and vibrant interconnected and inclusive community of network scientists. The aim of this interdisciplinary Action is two-fold. On the scientific level, the aim is to critically assess commonalities and opportunities for cross-fertilization of statistical network models in various applications, with a particular attention to scalability in the face of Big Data. On a meta-level, the aim is to create a broad community which includes researchers across the whole of Europe and at every stage in their scientific career and to facilitate contact with stakeholders. Written, as well as spoken language can be modeled via complex networks where the lingual units (words) are represented by vertices and their linguistic interactions by links. Language networks are a powerful formalism to the quantitative study of language structure at various language sublevels: phonological, morphological, syntactic or semantic. Language network analysis enables: the examination of structural complexities of each language sublevel and their mutual interactions; the systematic investigation of language evolution; the modeling of language acquisition; the modeling of mental lexicons, assessing the text quality, authorship attribution, disambiguation of the word’s meaning in a semantic context. 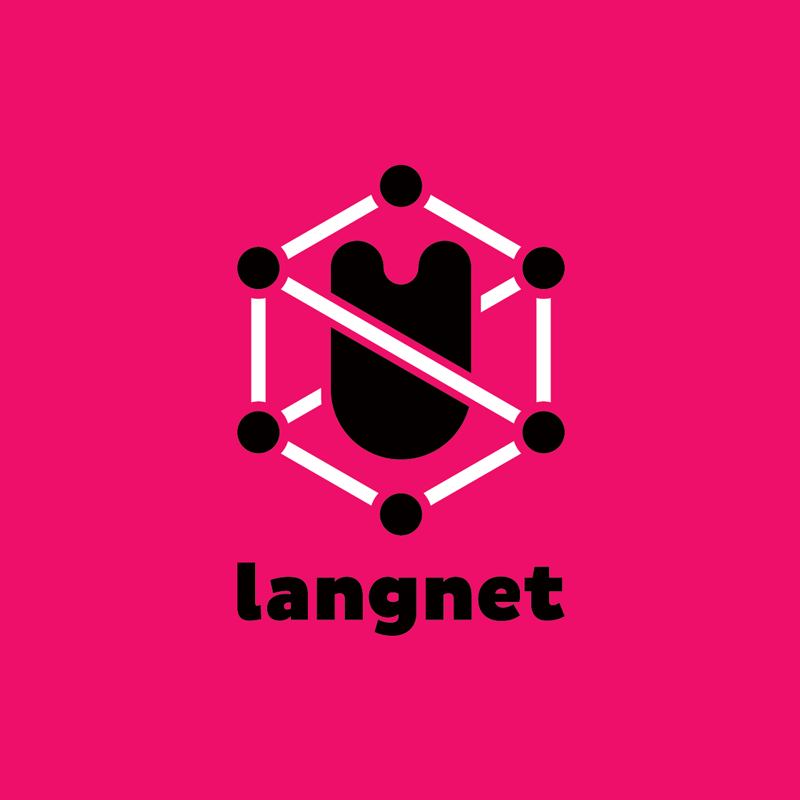 The aim of the LangNet project is to design the methodology for complexity evaluation across language levels using complex networks by establishing an information science bridge between linguistics, complex networks and natural language processing. The word-level and subword-level language networks will be constructed from various Croatian texts, lexicons and dictionaries. So far, there have been no systematic efforts to model the phenomena of various Croatian language subsystems and examine their functions through complex networks. Obtaining such findings is critical for deepening our understanding of conceptual similarities, differences and universalities in natural languages. The proposed methodology will reveal the currently unavailable structural properties of the Croatian language at subword-level and word-levels: phonological, phonetic, syllabic; co-occurrences and syntax. Language network analysis can be further extended in the direction of intelligent applications in the field of natural language processing. Cost Keystone is a cooperative network of researchers, practitioners, and application domain specialists working in fields related to semantic data management, the Semantic Web, information retrieval, artificial intelligence, machine learning and natural language processing, that coordinates collaboration among them to enable research activity and technology transfer in the area of keyword-based search over structured data sources. The coordination effort will promote the development of a new revolutionary paradigm that provides users with keyword-based search capabilities for structured data sources as they currently do with documents. Furthermore, it will exploit the structured nature of data sources in defining complex query execution plans by combining partial contributions from different sources.